The news of Glenn Tipton having to sit out Firepower touring activities due to his battle with Parkinson’s rattled many a cage, particularly those of the belief that Tipton is Judas Priest‘s musical anchor. (He is.) Slotting in ultra-producer Andy Sneap (also of Hell and Sabbat fame — look them up) was a sensible decision considering Sneap A.) Just produced Firepower and B.) Can play guitar. How it translates to stage is another thing altogether, with Sneap looking like he’s just starting to find his bearings. Understandably, the man is probably just a tad nervous about playing with one of the biggest metal bands of all-time. 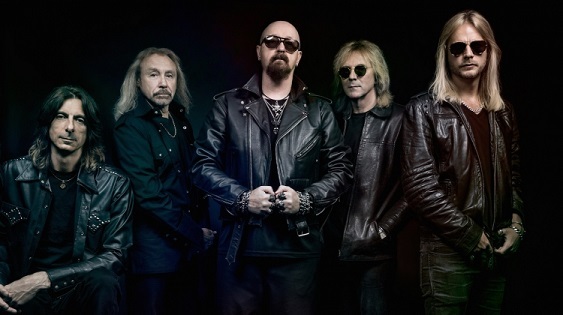 Thankfully, Priest, now, more than ever, is the two-headed attack of Rob Halford and Richie Faulkner, the latter emerging as a real guitar hero, as evidenced by his performance at Youngstown, Ohio’s Covelli Centre with Black Star Riders and Saxon in support. A solid mid-sized venue that seats roughly 5,000, the Covelli Centre was about 85% full. Situated between Cleveland and Pittsburgh, Youngstown probably drew the bulk of its crowd from both cities, which, perhaps is a smart move since Priest is spreading out tour dates. Some open seats were evident when Black Star Riders took the stage, though, with frontman Ricky Warwick trying his mightiest to get the crowd energized. The Scott Gorham/Damon Johnson guitar team can certainly hold their own, particularly on “Heavy Fire” and “When the Night Comes in” and being that Black Star Riders are the offshoot of Thin Lizzy, the requisite cover of “The Boys are Back in Town” was aired. Touring in support of their 22nd studio album, Thunderbolt, Saxon appear to relish in their opening slot with Priest. Being that many of their songs are short and punchy (always found these guys to be the NWOBHM answer to AC/DC), Biff Byford and the boys made quick and easy work of things, even throwing in three new songs, the best being “Nosferatu.” Byford, in his stage-stalking, gliding glory, is the consummate frontman, even donning a fan’s jean and leather jacket during “Denim and Leather,” which wrapped up the proceedings. 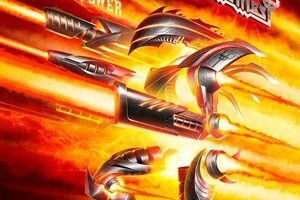 Arguably their best album since Painkiller, Firepower provides a near-perfect live platform for Priest. Only three songs from the album were aired: the title track, “Lightning Strikes” and “Evil Never Dies,” but the album’s sonic density, leaden hooks and metallic bite belie the band’s age, which is often a concern on the live front. Halford was decked out in silver pants and silver jacket to start, only to go through about five wardrobe changes. (No complaints here – the man still cares about putting on a show.) He’s hitting most, if not all of the notes, going for it all on tougher cuts like “Painkiller” and “Saints in Hell,” which was being aired for the first time during this tour. And while he’s still tethered to the teleprompter, Halford’s performance at 66 (!) is simply remarkable. The Faulkner/Sneap guitar tandem is not comparable to Tipton/Downing, nor is that the point. It’s really Faulkner’s show now. He’s the most animated and charismatic member onstage and has the somewhat unenviable task of taking on most of Priest’s solos. Here is where his guitar playing skills come into focus, ably nailing the lead break in “Painkiller,” guiding the band through the dark corridors of “Sinner,” pushing “Some Heads Are Gonna Roll” along and adding flash and sizzle to “Metal Gods,” which to this day, remains Priest’s best song. Sneap appears mostly relaxed onstage, although you could certainly forgive the man for having a case of the nerves. It’s not every day a producer is plucked from Derbyshire to replace a living legend.